But because of a patchy fossil record, scientists haven’t been sure whether Embrithopoda originated in Africa or Eurasia. Now, the oldest-ever embrithopod fossil has been discovered in Morocco, rooting the animal’s origins in Africa. The new research was published today in Current Biology. The newly discovered fossil, which consists of a jaw and a collection of teeth found in a Moroccan quarry, indicates the presence of two embrithopod species dating back to 55 million years ago. The researchers classified these species into a genus called Stylolophus. 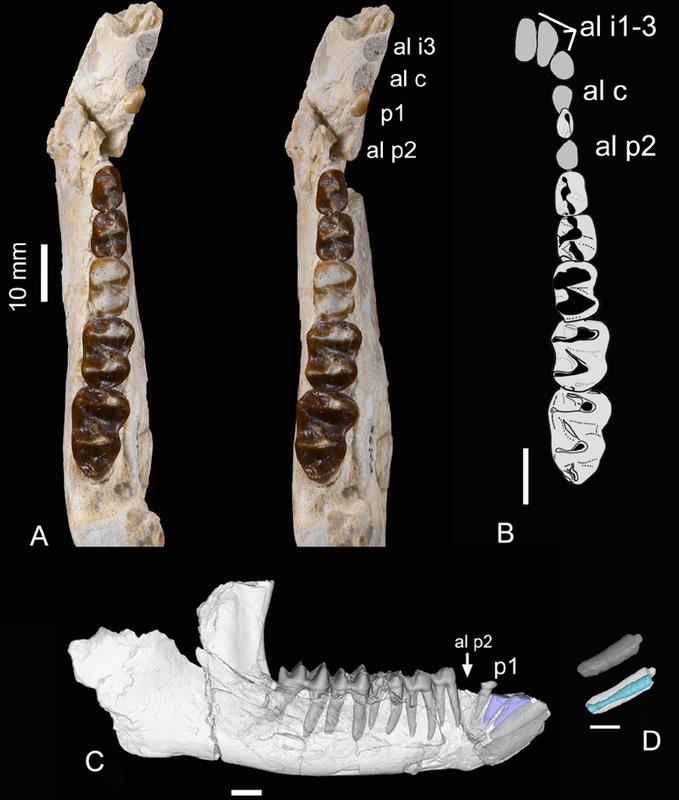 Other embrithopods have been uncovered in the past, the most famous one being the arsinoithere, a plant-eating mammal that would have been larger than a rhinoceros and boasted two large horns on its snout. Fossils show the arsinoithere lived between 35 million and 24 million years ago in Africa and Arabia. But before then, fossils from 48 million years ago revealed that smaller embrithopods lived in both Africa and what is now Turkey, making their origins pretty hazy. Stylolophus changes that. “The discovery of Stylolophus shows that the ancestry of all embrithopods was probably an African event,” Sanders told Gizmodo. Embrithopods were pretty thick and sturdy, according to their fossil record. The smaller Stylolophus species was probably about the size of a sheep, but much denser and heavier, Sanders said. He speculated it may have even looked like a miniature arsinoithere. 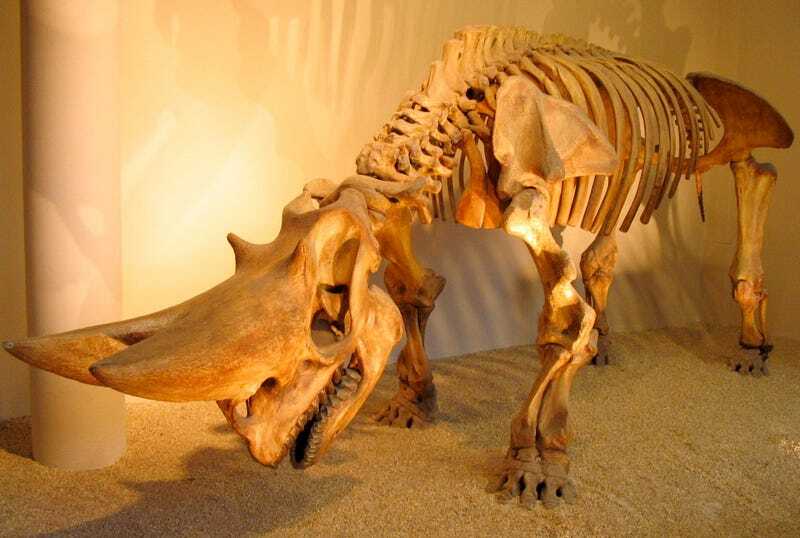 Though many embrithopods probably looked a bit like rhinoceroses, they were most closely related to the animals that evolved into elephants and sea cows. 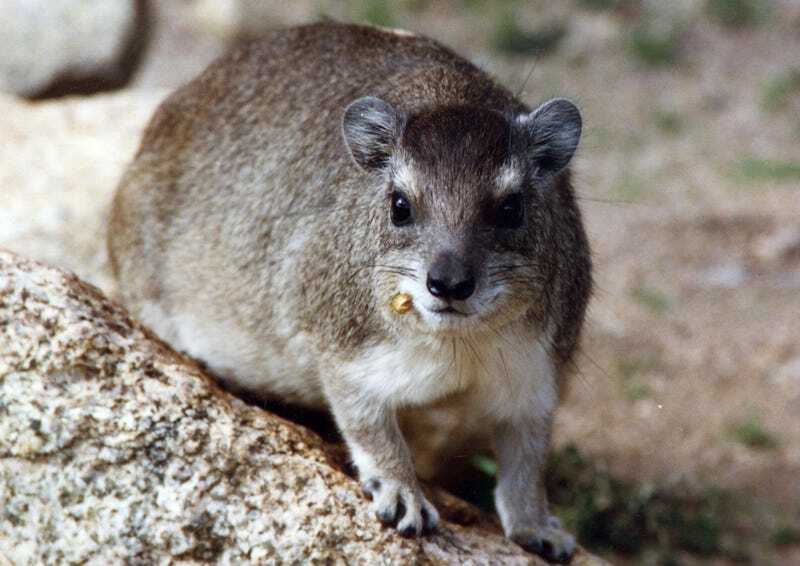 Hyraxes, foot-long, stout, thickly furred mammals, are also at home in this family tree, and genetics show they are more related to elephants, sea cows, and embrithopods than they are to rodents. All of these mammal groups—in addition to animals like aardvarks, tenrecs, and elephant shrews—are members of a large group called afrotheria, meaning they all originated from a common ancestor in Africa. It makes sense to classify embrithopods as afrotheres, too, with their proposed close relation to elephants and sea cows and newly solidified African birthplace.